The five-year-old Darci Brahma mare defied her rivals all the way down the long Riccarton home straight after rider Cameron Lammas sent her to the front with more than 1 m left to run in the contest. Those who expected the $51 chance to weaken were sadly disappointed as she kept up a strong gallop to dispose of the well fancied northern raiders Felaar and Mental Telepathy. 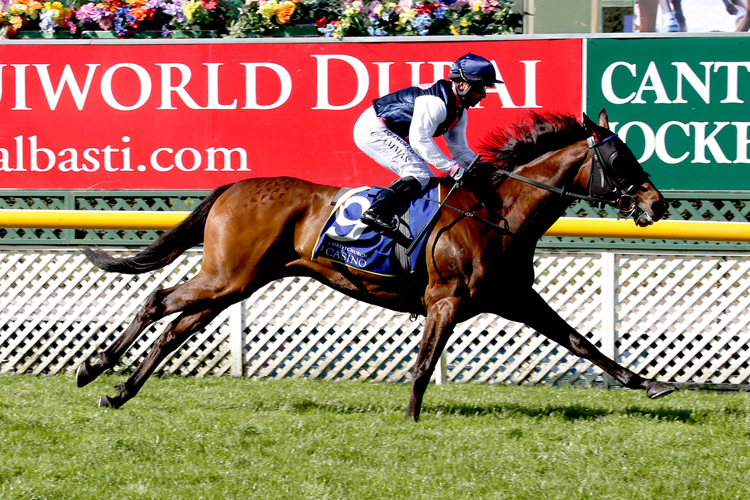 The run provided an eye-catching dress rehearsal for the mare’s next challenge, the Gr.3 Christchurch Casino New Zealand Cup (3200m). “She won over 1 9⁄16 m on Cup day last year, although this season she just hadn’t come up like I thought she would. Earlier in the day underrated Woodville galloper Casaquinman sprang another upset when he dashed home to win the Listed Yesberg Insurance Services Pegasus Stakes (1000m). The Shane Brown-trained gelding was having his first start in a new campaign after finishing mid-field in the Autumn Sprint Championship (1200m) final at Trentham in May. The Per Incanto six-year-old possesses a powerful finishing burst and he put that to good effect as he chimed in out wide in the home straight to clear out from the chasing pack. “We targeted Cup week from the time we turned him out,” Brown said. “When a plan comes off it is fantastic. Rider Dylan Turner produced an ecstatic whip flourish at the finish post after claiming victory and was still on a high when interviewed after the race. “He’s a lovely horse who makes you look good,” he said. Casaquinman holds a nomination for Wednesday’s Gr.3 Lindauer Stewards Stakes (1200m) with Brown indicating he would take his place in the field provided he pulls up well from his weekend exertions.